Click here to enroll your child now. Separate classes for kids as young as 3 years of age. Our number one benefit to parents is the gift of TIME! Most sports and activities require dozens of daily practices, and numerous competitions taking up entire weekends. But in our dojo youth students can participate with just two classes a week! Not only do we save you time; but we produce benefits that far exceed organized sports. Kids learn leadership, character development, and discover their own self confidence. These are the very skills that are needed to succeed anywhere; but are seldom taught. Save time AND give your son or daughter MORE. Make martial arts with us a part of your child’s education. Kids need three things for success. Because our program is focused we can address these areas in EVERY class. 1st - kids need help with their coordination - no matter where they are now, we will help them perform better at any activity they decide to do. 2nd - Kids need confidence - Your child will learn to communicate with body language that they are friendly and approachable BUT they are also the kind of person that will not be pushed around. 3rd - Kids need “lifestyle skills”. Kids need to know how to set goals, how to have listening and speaking skills, how to have etiquette - it’s these skills that just might be what kids need most! (Click the arrow in the black box above to hear a raw unedited audio recording from class). Martial Arts changed my life as a youth - and it might help your child too! "Kids don't care how much you know until they know how much you care." Over thirty years ago, when I first started teaching Martial Arts, I learned a lesson from the best teacher of children I've ever seen, I asked him: "What is it that makes your classroom so magical, how do you get such great results?" "It's really simple." He said. "You've got to love them." A personal message from Sensei Hurtsellers. I (Sensei Hurtsellers) base our instruction on my own experiences starting lessons in a real dojo over thirty years ago. This was before the era of the modern "commercial" schools. I was just about as un-athletic and uncoordinated as I could be. I had never played sports except for a few attempts that ended in embarrassment. I had enormous self-esteem issues, I didn't speak to many people and stayed to myself a lot. My grades in school were poor, and I had few friends. I guess it would be fair to say it - I was lost. But joining a real dojo changed my life! I found in the Martial Arts a place where there was a high standard of courtesy, discipline, and respect. While everyone was friendly and helpful, it was made clear to me from day one that no one was going to do the work for me. If I wanted to be successful then there was a standard that I would have to meet, classes that I would have to make sacrifices to attend, and work that I would have to do - no exceptions! But one thing for sure; everyone was treated equally! I mean, if you were a superstar athlete, really popular, or even if your parents were rich, it didn't matter at all. There was a high standard that everyone had to meet equally to succeed, but the best part was if you were willing to do the work, anyone could succeed. To me, being in a real dojo was a breath of fresh air: Here was a place where the standard was really challenging, yet everyone was treated the same! Unlike the sports in my Academic Schools, I realized that a dojo was a place anyone could succeed. Real martial arts was for everyone, not just the popular and talented, but anyone who wanted to succeed could if they were willing to work for it! As a result of being in this environment, my life changed for the better. My confidence soared, I became strong, confident, and learned what it was like to really take care of myself. I will never forget what my Sensei (Martial Arts teacher) and my dojo did for me, and those lessons I use every day and will remember forever. Most kids are not getting what the family was promised. The biggest challenge I see in our education system is the tendency to just push everyone through. I see this happening now in dojo's all across America. But if everyone graduates... where is the value for the ones that do the work? No child ever grew up to be a Scientist, Doctor, or a Teacher, because someone just pushed them through. But today in America many children are in fact being pushed through to Black Belt. Most commercial schools today attach a rank (usually Black Belt) to a payment program. This is highly profitable because it insures a long term contract - but it also creates a built in incentive to lower the standards! Because of this practice, some commercial schools have so greatly accelerated and weakened the rank promotion process, that Kids are being promoted without developing the self-control and self discipline, the belt requires. So Why do we teach the way we do today when it would be so much easier and profitable other ways? There are two reasons. First; we are able to! We've been so blessed with a strong enough separate adult following that we don't depend on our children's program to fund our school. Second, and most important of all, we are on a mission. Our goal is to see your child develop into the leader that Martial Arts can make them into. Do the Martial Arts really teach self-confidence, concentration and self-discipline? Yes.......but you MUST have the RIGHT TEACHERS. Who was the greatest teacher you ever had? Was it the subject that made the teacher great, or did a great teacher make the subject great? If you're like me, you realize that it was always the teacher-- a great teacher could have taught you anything and you would have loved it! Everyone says it; "Self-Discipline, Self-Control, Self-Confidence" and so on. But the question we have have is: "Exactly how are you going to give that to a child?" In reality; we don't give any of these "self" words to our kids, we give them the opportunity to find these benefits for themselves. The only place that self-confidence can come from (even in a young person) is from the inside. We provide incremental goals and opportunities for acceptance and achievement within a structured and disciplined environment. Every time your son or daughter works for and finds improvement, you will notice their confidence will increase. Pretty soon they begin to get the idea that they can do just about anything that they set their mind to! This is what real self-confidence is; your child's knowledge that they can and will succeed with effort. The best part is that when your child finds confidence for themselves, NO ONE CAN EVER TAKE IT AWAY! Top reasons our school might be the right fit for you. Our staff is consistent. In fact you will see the same faces day in day out, year in year out! In addition to our professional staff our two owners (Sempai Blanco and Sensei Hurtsellers) we have been teaching Martial Arts for over forty years! 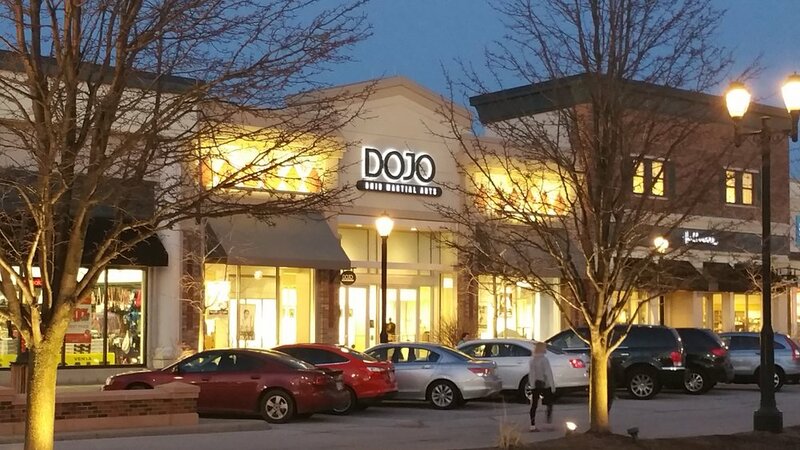 In 2018 our Dojo celebrated it's 30th year of continuous full time operations in Northwest Ohio. Not to mention the experience Shelly and I have both received from raising our own four children together. (Today 25, 27, 28 and 30 years old.) You would be hard pressed to find anyone to work with your child that has more experience anywhere on the planet! Our classes are age specific. What would happen if you put a five year old in a group of ten year olds? What if you asked a teenager to attend a class with six year olds? What about children attending a class with adults? Unfortunately, that is exactly what is going on in many of today's commercial schools. We uniquely divide classes based on the age of the students. Sometimes parents ask if it's possible for them to attend classes with their children, so that the family can have something to do together. Our answer is absolutely yes; as a matter of fact we encourage it. But the difference is we only allow an adult to attend a younger class, but do not allow children to attend adult classes. In this way we can then teach to the level that is appropriate for everyone. At our dojo our price is given directly over the phone and posted here on our website; there will be no surprises later. It's very common for commercial sales oriented schools to quote you one price, and even sign your child up at this rate, only to turn around a few weeks or months later and try and "up sell" the program at a higher cost with a long term contract. Often a certain colored belt is wrapped into the reward for this "upgrade". What saddens me most about these sales tactics is that they take away exactly what made Martial Arts so beneficial to me as a young person! The right to set and achieve a goals and reap rewards based on effort is exactly how a child learns self-confidence! Rank is not paid for with money; it's paid for with sweat and everyone should have the same chance to succeed. As a consequence of this way of doing business there is a built in incentive for the instructor to promote children based on how much their parents are paying instead of their true mastery of the material. When this happens both the child and parent are getting cheated out of the real benefit of study. The price of a program should be known to you up front! I don't have an issue with what a school charges - believe me good Martial Arts is a priceless investment- what I do object to is starting you out at one rate and then ambushing you later on with another; and then using (whether purposefully or not) the amount you pay as the criteria for rank promotions! This tactic is literally killing Martial Arts in this country; it's devaluating rank, especially Black Belt, and it's stealing your child's chance at discovering how wonderful and life changing real Martial Arts actually can be. Rank and testing is a vital part of our program. Many commercial schools charge these fees (and often) do not divulge them when you sign up; instead you are surprised with them later. Rank and testing fees are included in your registration with us. We have a complete schedule. We offer classes for our students five evenings per week, as well as daytime classes during the summer months for most ages. Most of our students average attending about two times a week. If you have more time during certain parts of the year you can bring your student to more classes. No extra charge. Do students attend more than twice a week? Most don't, but it's an advantage to have so many classes to choose from. If another activity gets in the way at certain times you will always have classes still available. complete schedule gives you the flexibility for your busy life. The length of each class is carefully designed to be age specific. Our warm up is short and to the point - and a child will be learning from start to finish with almost no standing around. Our staffing is substantial so that each child gets the attention they need and deserve. In Zen there is a saying; "How you do one thing is how you'll do everything." If you walk in our facility you will know in an instant we are serious about the work we do. You will notice a bright, clean, and well decorated space. We use the most expensive and safest mats in the world, and use the best training methods available today. We have spared nothing in order to create one of the most beautiful, professional and organized dojos in America. 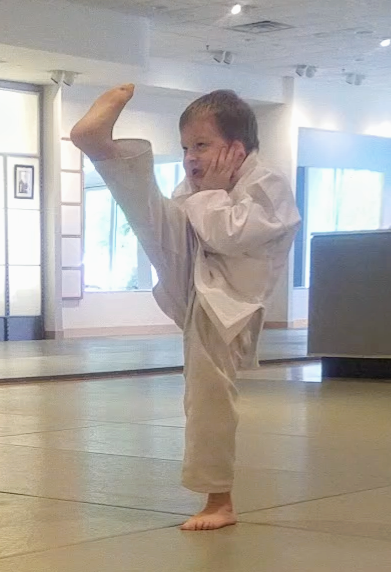 Is our dojo right for your child? I don't know; but the truth is neither do you. I remember when my son was younger, I kept thinking the same thing; all I wanted for him was to find something that he really liked, something he could really love. I don't think you're any different than me. We just want to have our kids find a niche in something they can succeed in. Something they will really love and work hard to get good at. I don't know if our school is right for your son or daughter, but I do know it's absolutely important that you try. The only promise that I can give you is the same promise I give everyone. We will do our best to share the Martial Arts with your child the best way we know how, the way we believe it was intended. There is a chance, and it's not a high one, but there is a chance that our school, our teaching, could absolutely make a huge difference in the life of your child. You have nothing to lose, and everything to gain. Please click the following button for information and to register your child. If you have any questions please call today. *Students can start at any time of the year; call 419-385-1000 to have your child try our introductory course or schedule a visit. Friendly information is also available. Where are we located? When are the classes? What is the cost? How does a child or teen get registered? Maumee, Whitehouse, Monclova, Holland, Bowling Green, and Toledo Martial Arts Lessons and classes.